Connecting rod bearing or Big end bearing fitted inside the big end of the connecting rod and enclosed the crank shaft pin. Connecting rod bearing / big end bearing can be damaged in a number of ways as it continuously absorb thrust load through the piston due to combustion. MAN B&W 51/60 DF engine running with Heavy fuel Oil. During 12K schedule maintenance found one connecting rod bearing inner surface damaged. 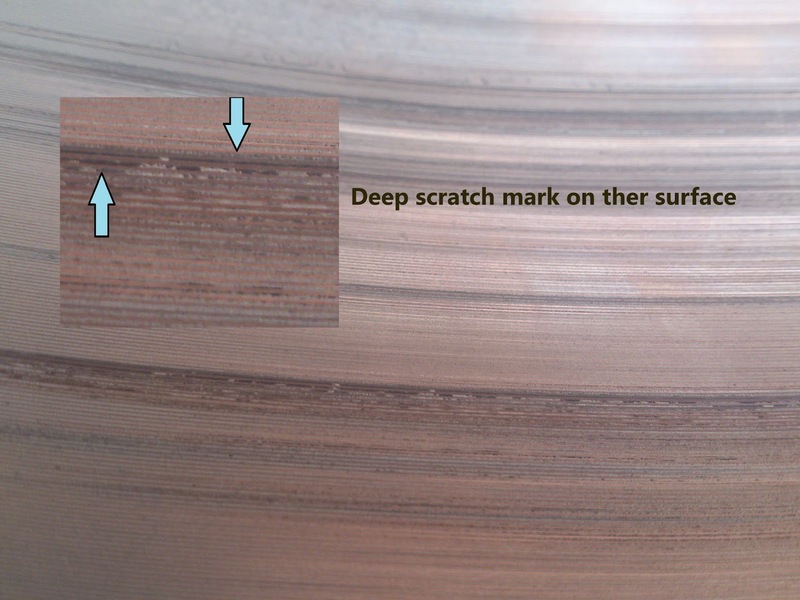 Some deep groove scratches inside the inner surface. The scratch mark expands from one end to another of the bearing shell. In the center of the bearing several scratches noticed. Roll-bonded bimetal bearings with the material combination steel/aluminums alloy (AlSn20) are used as connecting rod beating/big-end bearings. The first layer is made from bearing metal. In the middle Aluminum binding layer. Steel shell support the above layers. When a foreign particle finds their way through the lubrication gap between shaft and shell this kind of bearing damage may occur. In this case it is clearly visible that foreign materials enter through lubrication channel from one end. In the middle position foreign material breaks into several pieces. 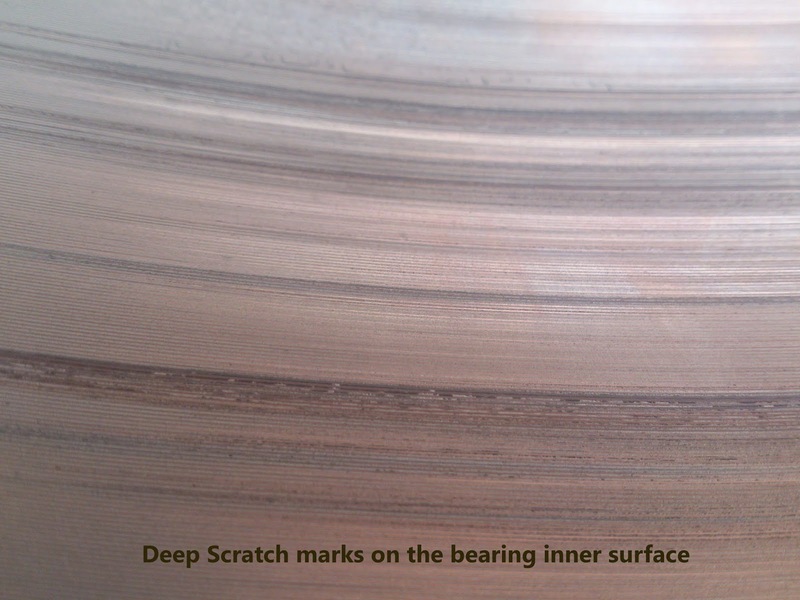 As a result, there are several long, deep scratch marks in the center of the bearing shell. If there is isolated dirt marks by foreign particle cause normal scratches, the bearing can be used further. But in this case the scratch marks are deep and witch about 2 mm. So, it is recommended to replace the bearing shells (both upper and lower) according the MAN B&W engine manual. It is recommended to check other bearings, thoroughly inspect the engine inside for any broken particles and check/clean the lubrication oil filter. Groove Channels Inside Connection Rod /Big End Bearing – HFO Power Plant .